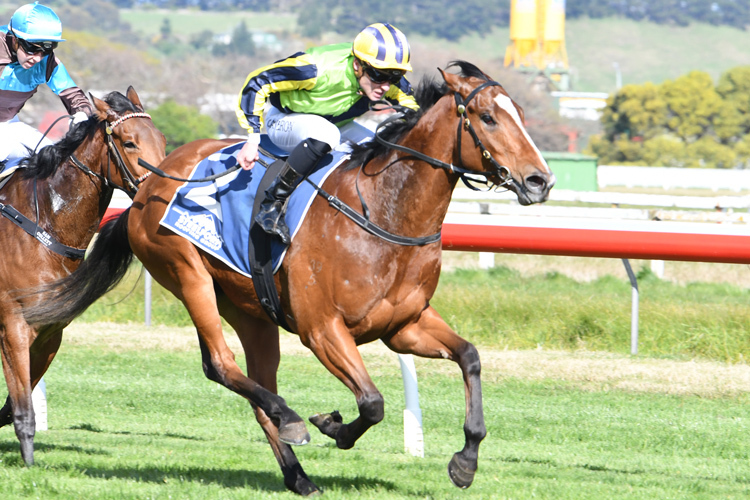 The powerful Murray Baker and Andrew Forsman stable were back doing what they do best at Wanganui on Saturday when they produced progressive filly Peaceful to win the Listed The O’Leary’s Fillies Stakes (1200m). Fresh off a record breaking 2017-2018 season where they took out a total of twenty Group or Listed events amongst their New Zealand tally of 142 victories, the Cambridge combination posted their first black-type for the new season with the three-year-old Savabeel filly. Successful at Listed level in her last start as a two-year-old, Peaceful went into the race off the back of a satisfactory trial at Te Rapa last month. Handled perfectly by in-form rider Matt Cameron, the filly enjoyed a cosy run in behind the speed before angling off the fence in the run home to issue her challenge. Challenged hotly over the concluding stages by the Allan Sharrock trained pair of London Express and Tutta La Classe, Peaceful found plenty to repel her rivals and add a second victory to her six-start career record. Co-trainer Murray Baker watched the race from Melbourne where he has dual New Zealand Horse of the Year, Bonneval, kicking off her spring campaign in the Gr.2 Dato Tan Chin Nam Stakes (1600m). “That was a good win, she’s a pretty promising filly,” he said. “We weren’t too sure about her chances today as she is behind in her prep like a lot of our stable at the moment. Baker confirmed the stable had bigger plans in store for Peaceful who races in the colours of part-owner Lib Petagna. “She beat a pretty good one in Cyber Attack when she won the stakes race at Te Rapa last season, so we had a good think where we might go with her if she came up well this time in,” he said. “After that win I think we might be taking her to Melbourne for some spring targets. The Cambridge conditioners were quick to add a second victory to their haul for the day when former Hong Kong galloper Indigenous Union scored over 1 1⁄4 m in the next race on the card.